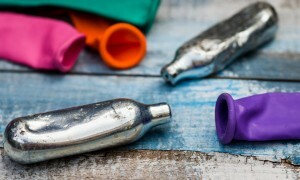 Legal Highs and Driving | What are the Legal Implications? With a clamp down on drug driving being enforced across the nation recently it is little wonder that there are those looking for ways to still get their kick but avoid the consequences of the law. Use of so-called “legal highs” seem to have been on the rise in recent years and with the new drug driving legislation being brought into force earlier this year, we suspect that many a motorist will assume they cannot be prosecuted under such legislation whilst under their influence. Essentially they are “fake drugs” or rather, recreational drugs made up of compounds to induce the same effects as crimina lised highs such as ecstasy or cannabis. A whole host of bizarre ingredients can be used to formulate the drugs which include hallucinogenic compounds, stimulants and depressants (a dangerous combination in itself). Such substances are currently not banned under the Misuse of Drugs Act 1971 as “drugs” are deemed illegal by their chemical make-up. In legal highs, the ingredients are altered just enough to push them outside such classification and thus avoid the ban. The legal highs cannot be sold for human consumption however which is why they are often labelled as plant food, incense or salts depending on what it is. One example of such a drug that has seen a rose to prominence over the years is commonly known as M-Kat which is also referred to (quite bizarrely) as Meow-Meow. M-Kat is essentially Methadrone which is a stimulant closely related to amphetamines. It is commonly used to simulate the effects of ecstasy, speed and cocaine. It has a lesser street value than cocaine and so is often purchased as a less-expensive substitute. The short answer is: Yes, they are. The problem with Legal Highs (as with any recreational drugs) is that you can never be sure what it is actually comprised of or how these unknown ingredients will affect the body. Many users of such drugs probably have very little idea of exactly what they are putting into their body and are putting a huge amount of misplaced trust into their dealer. More concerning is that recreational drugs are often consumed in conjunction with alcohol with the user giving no thought to how the substances may react together. Should the worst happen and a person suffers a serious reaction to the substances taken, medics will initially find it difficult to treat as they have no idea what they are actually dealing with. They cannot risk providing medication that may actually make your condition worse. Legal Highs are arguably just as dangerous as illegal drugs as both contain a mixture of unknown ingredients that are thrown into the mix simply to increase the volume of the substance to be sold. They are made with no regard to the end user or how it will affect them. Motorists who use legal highs may wrongly assume they are safe from prosecution because the substances are supposedly made up from all legal ingredients. The truth is however until you are stopped by police and asked to provide a blood sample, you actually have no idea what is in the drug consumed. I have little doubt that all legal highs are going to affect your ability to drive and even if the substance is not made up from illegal compounds, depending on what it IS made from you could still be prosecuted under the drug driving legislation or under the alternative charges of driving whilst unfit through drink or drugs. If (for whatever reason) the police feel that they cannot bring the above charges they can always consider careless driving or dangerous driving. All of these offences can carry significant penalties with most of them carrying a mandatory 12-month disqualification from driving. Irrespective of whether the high is legal or illegal, in consuming such substances you are putting your own life and well being at risk. Getting into your vehicle afterwards will not only increase danger to yourself, but also those around you and this would invoke the full power of any court come to judge you. The smart move is…..just don’t do it at all.